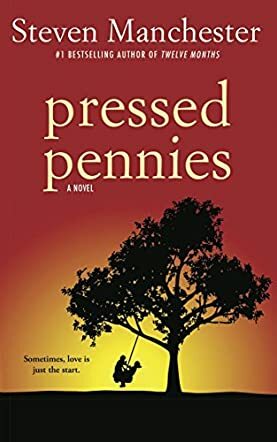 Rick and Abby find themselves being thrown together after many years in Pressed Pennies by Steven Manchester. Rick and Abbey are childhood friends who fall in love while young and then break up. Though they meet again and find themselves falling in love again and want to make up for lost time, there are other factors in their lives now which work as obstacles to their love story. Paige, Abby’s daughter, is very comfortable with being in her mother’s space all the time and does not seem to welcome Rick’s presence in her mother’s life. Rick, on the other hand, has no experience in handling kids and he finds it difficult to handle Paige. Will Abby be able to make things work for her this time? The author traces the lives of three couples in this story. The book brings together many relationships and the love portrayed in the story is nuanced and vivid in its descriptions. Eunice and Bill and Carmen and Grant are the other two couples whose romance is followed in this story. The author weaves the stories of these couples into the main plot deftly and the language is simple and elegant, adding to the beautiful imagery of the settings. This intense love story will bring out heartfelt emotions in readers. The author has captured the joy of family and relationships through the lives of these three couples. This love story revolves around hope, faith, destiny and love.